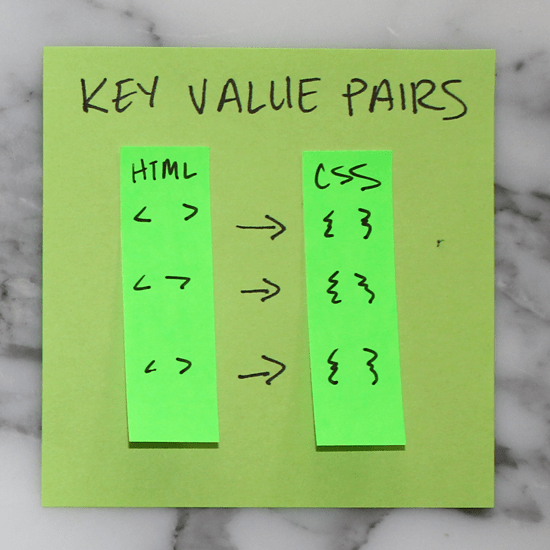 For every HTML element to be styled, a corresponding CSS selector must be assigned. 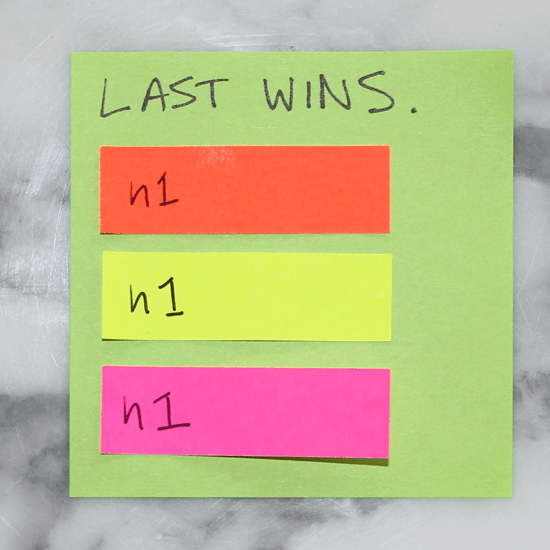 They always appear in key value pairs. 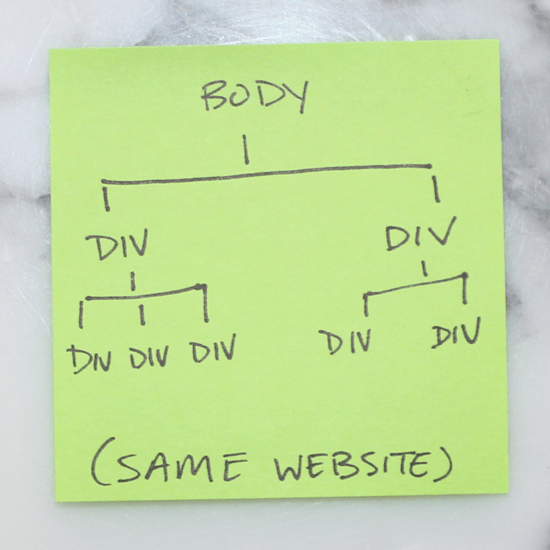 Websites can be broken down into components or divs for layouts. 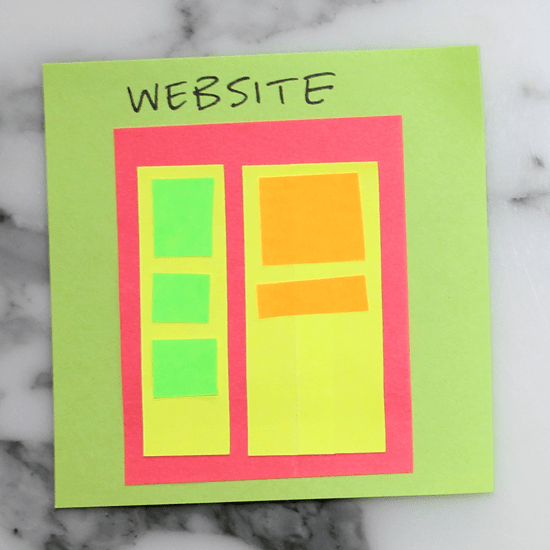 It is helpful to conceptualize the overall structure of a website before writing HTML or CSS. 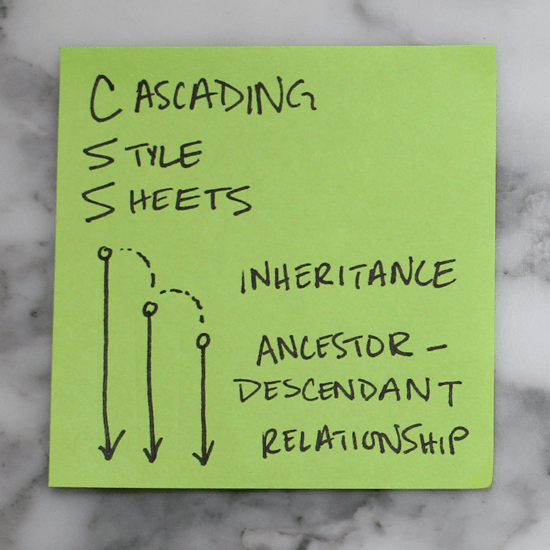 Likewise, structuring a site also follows the tree methodology. This sticky illustrates the one above in tree-branch form. 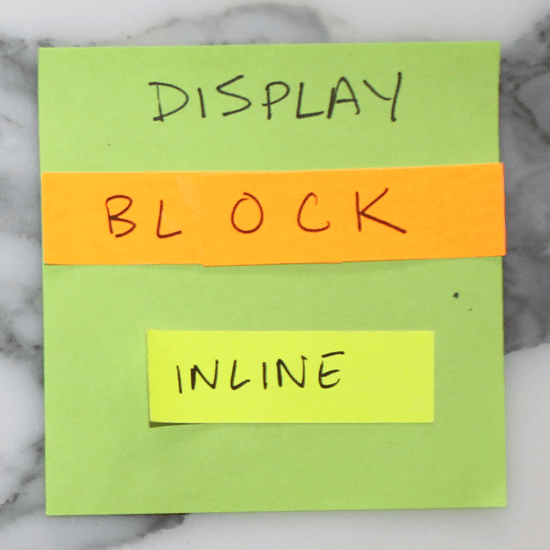 Elements that stretch across the full width of a page are block elements. A few block elements include headers, footers, headings (h1, h2, h3, etc. ), divs, paragraphs (p). Inline elements only take up as much room as they need to; span, links (a), and images are a few examples. 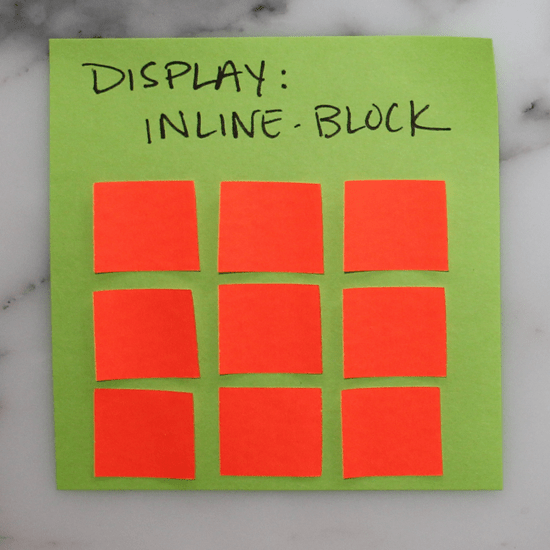 There is also such a thing as setting display: inline-block to create a uniform grid. Inline-block elements can have a height and width. All CSS elements are based on this model. 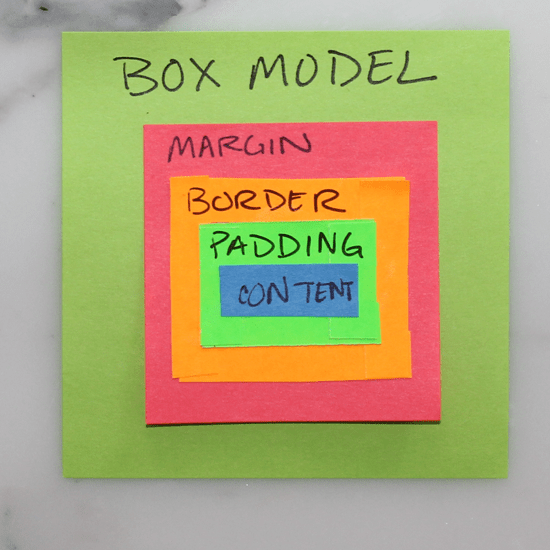 The innermost box is content (could be anything), immediately surrounding content is its padding, then border, and finally, the outermost box–margin. 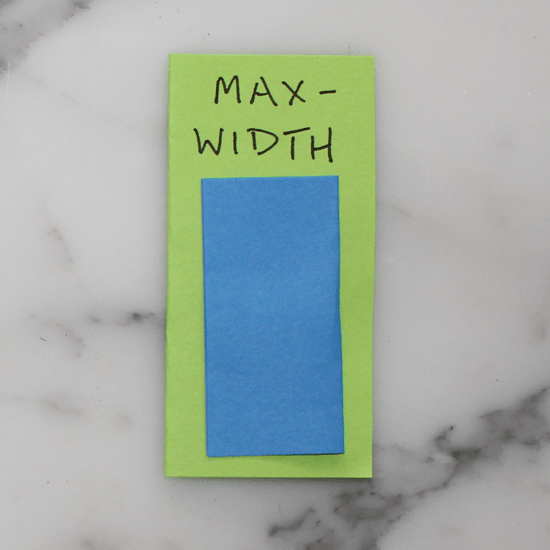 Margins push out around an element. 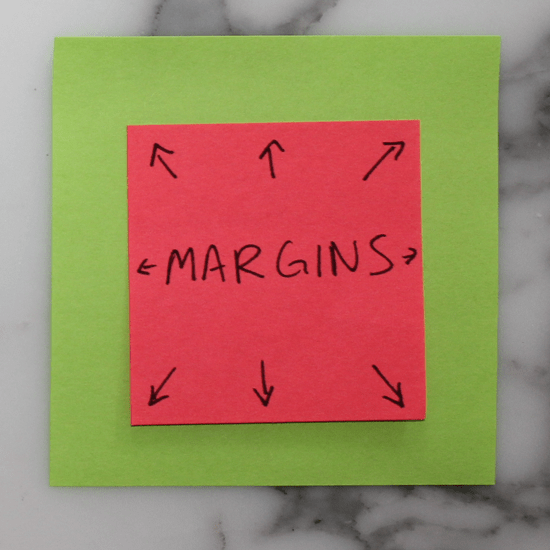 Margins are considered to be outside of the element, and margins of adjacent items will overlap. 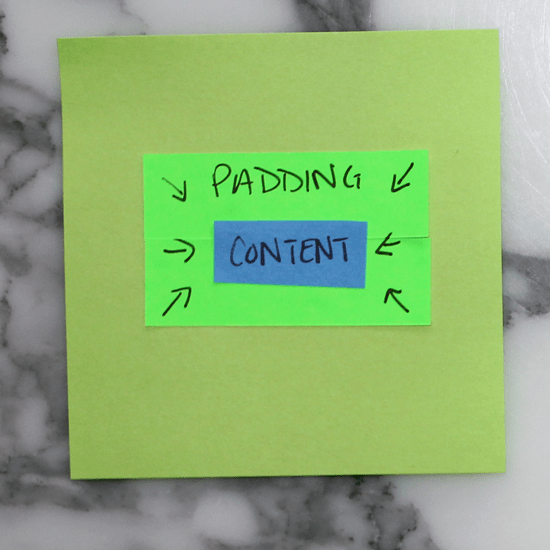 Padding pushes inward on content. Use padding to move the contents away from the edges of the block. 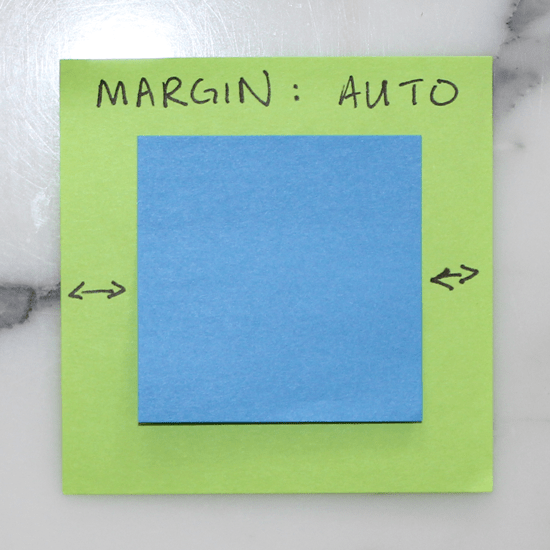 Setting margins to auto for right & left is a handy way of centering. 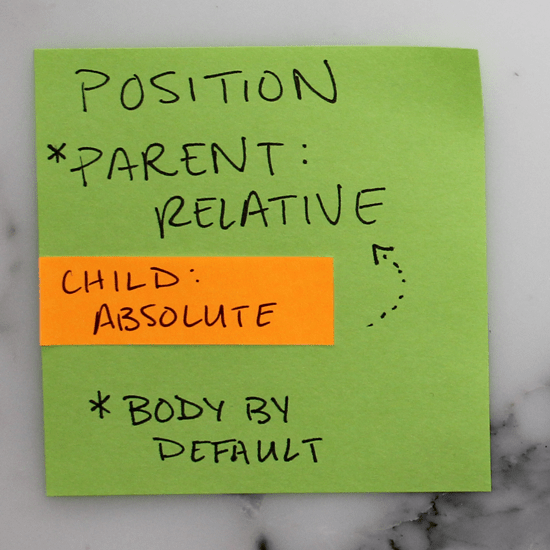 Set a parent element to position: relative and its child to position: absolute to position the child within (or relative) to its parent. Note that the parent is always body by default. 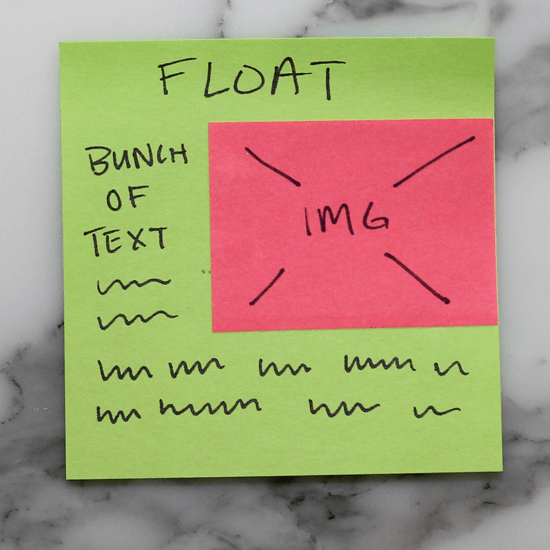 Setting an element to float, like the img below for example, will allow the text to flow around it. 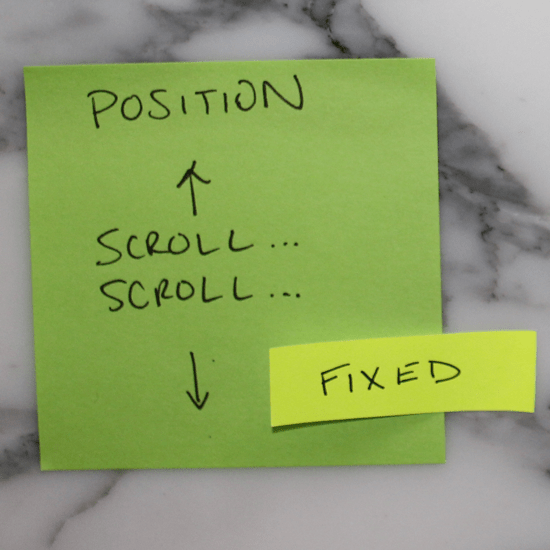 Fixed elements are exactly that, they are always fixed to the same spot, regardless of page position (scroll). 16. 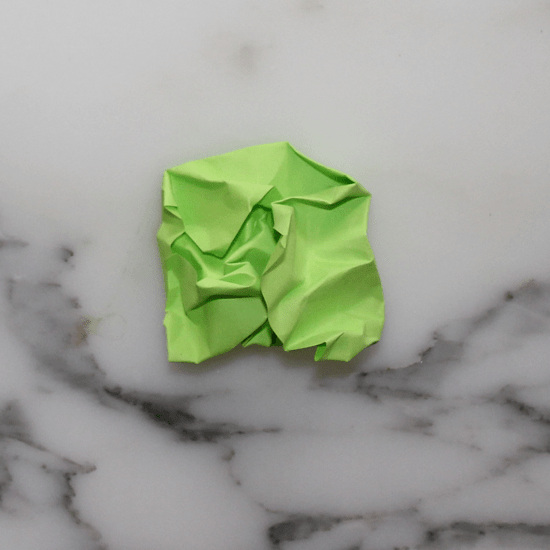 Link up your style sheet! Angular 2: Dependency InjectionWhat is Responsive Design?